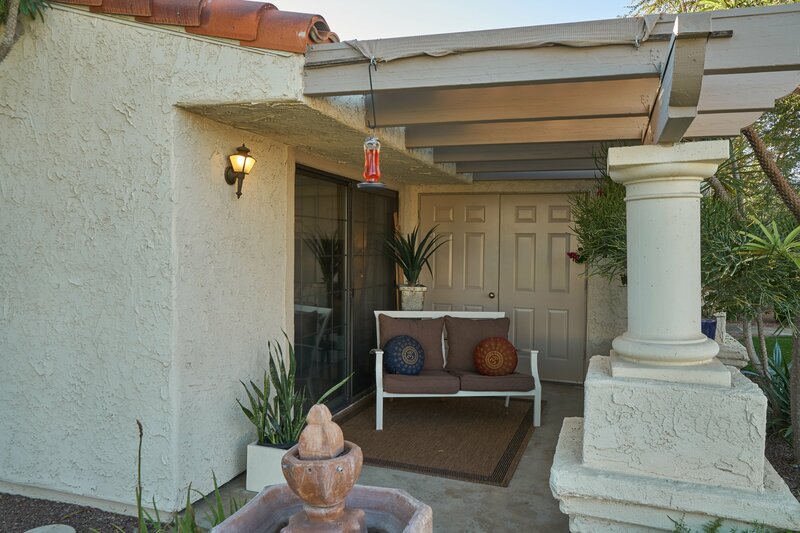 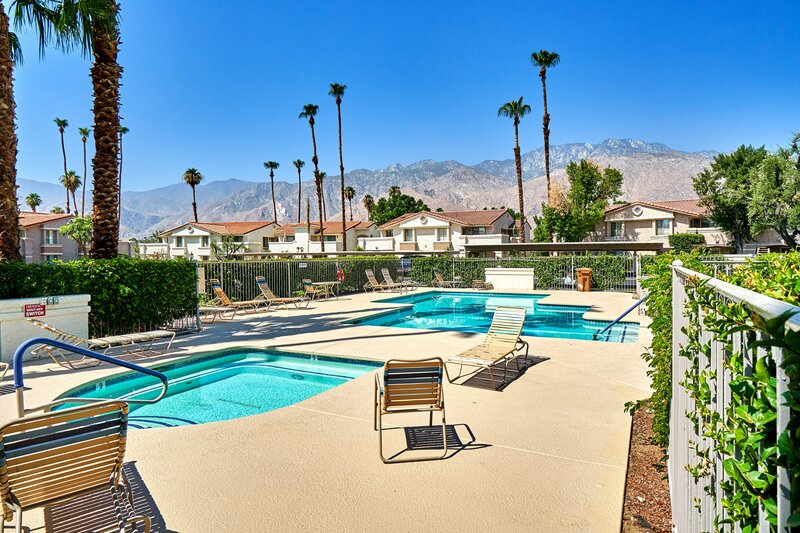 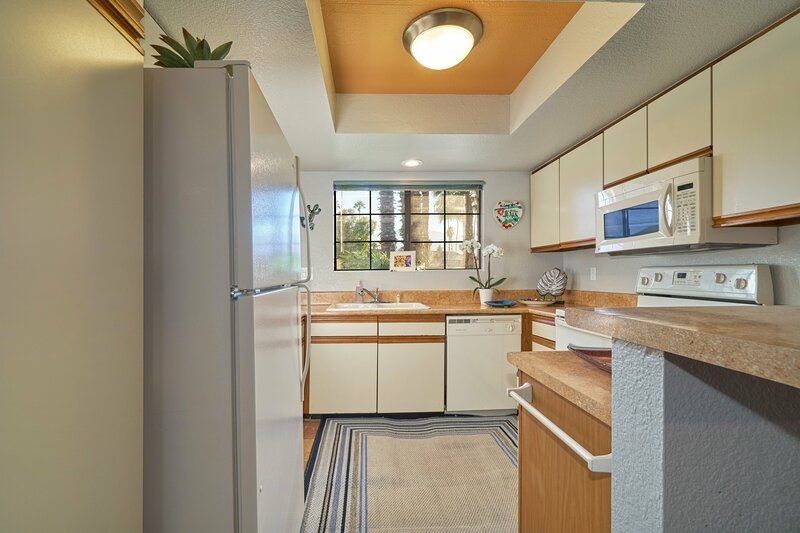 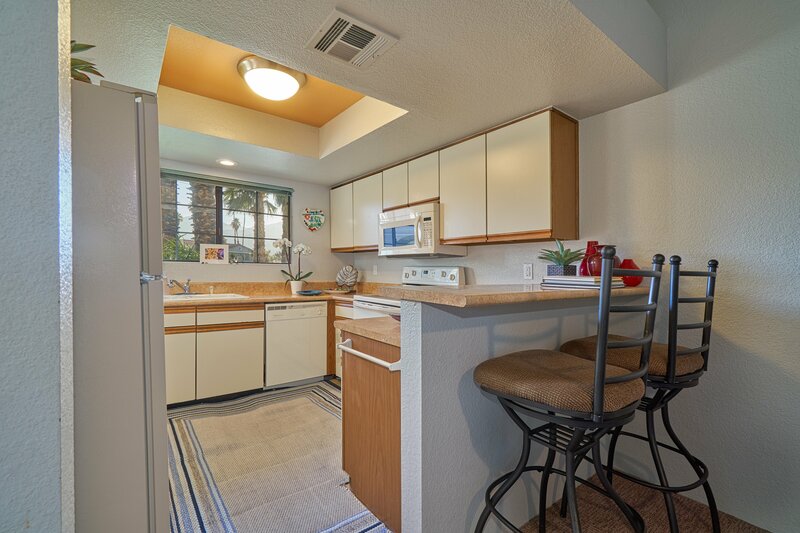 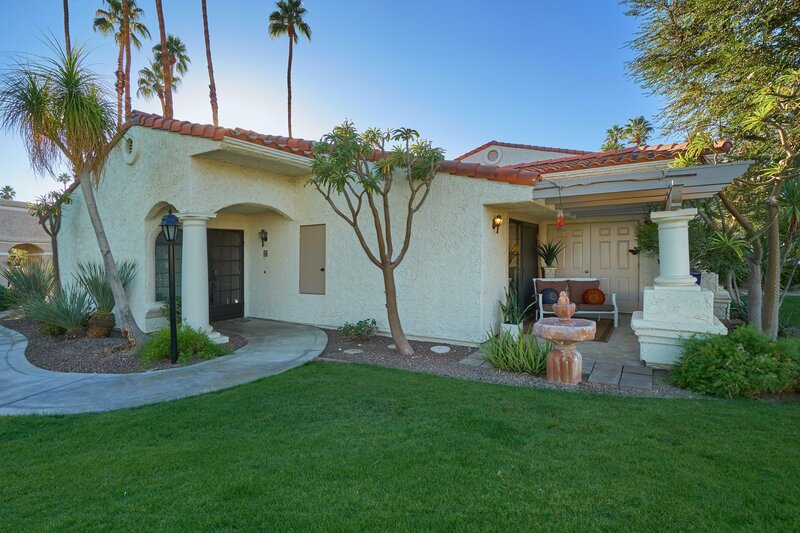 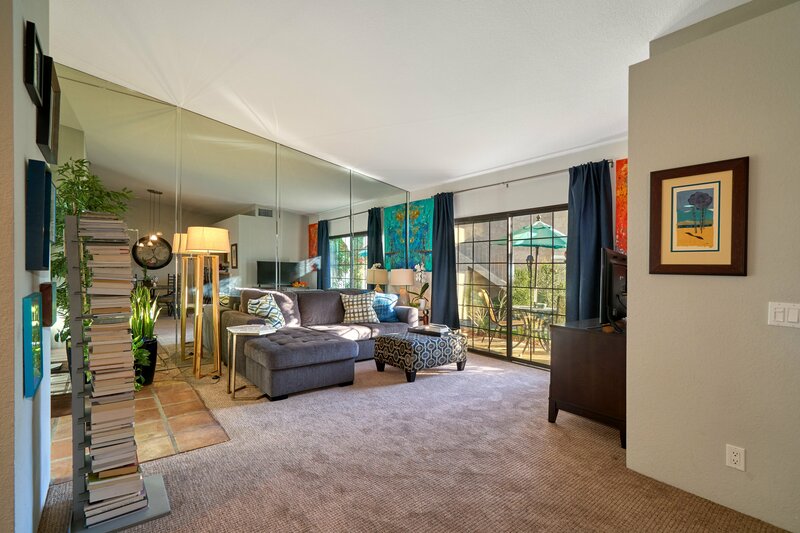 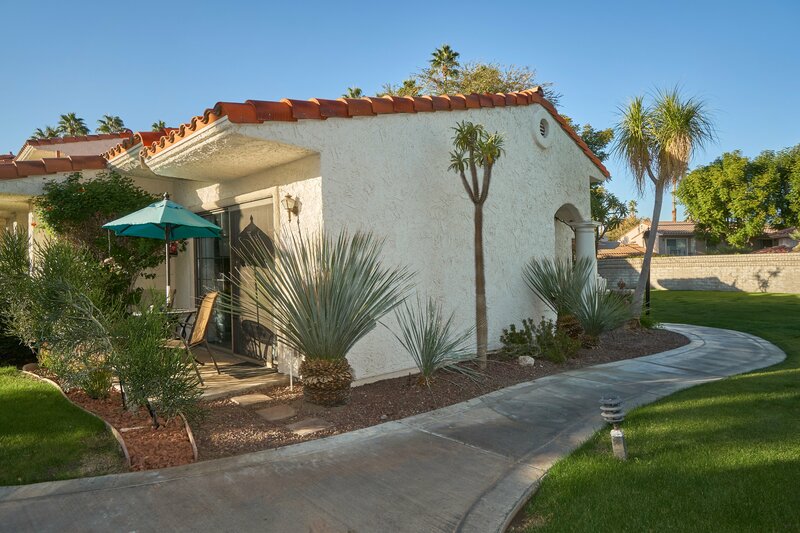 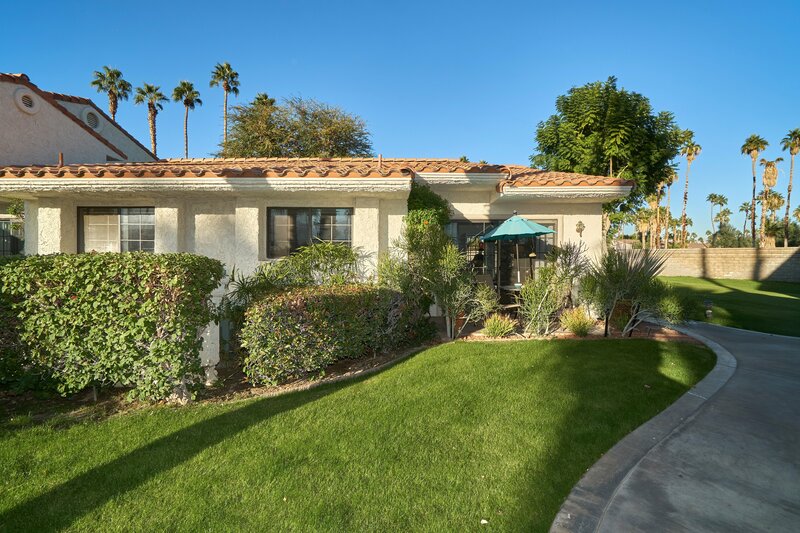 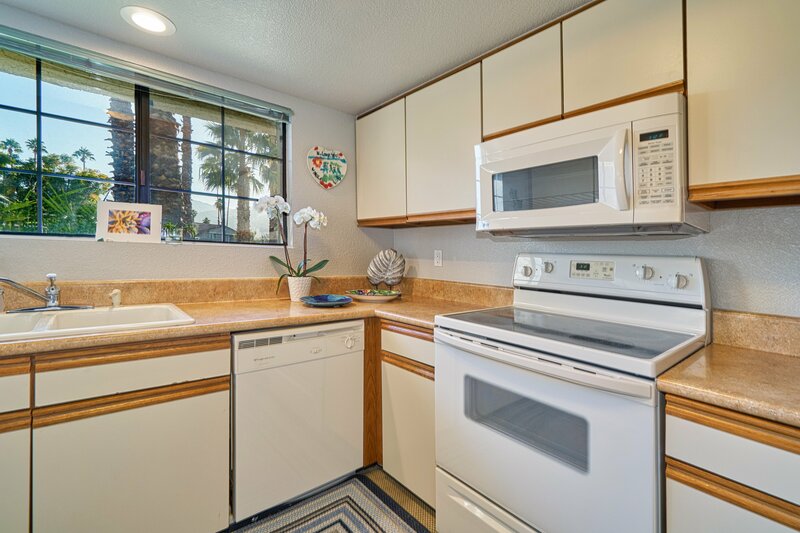 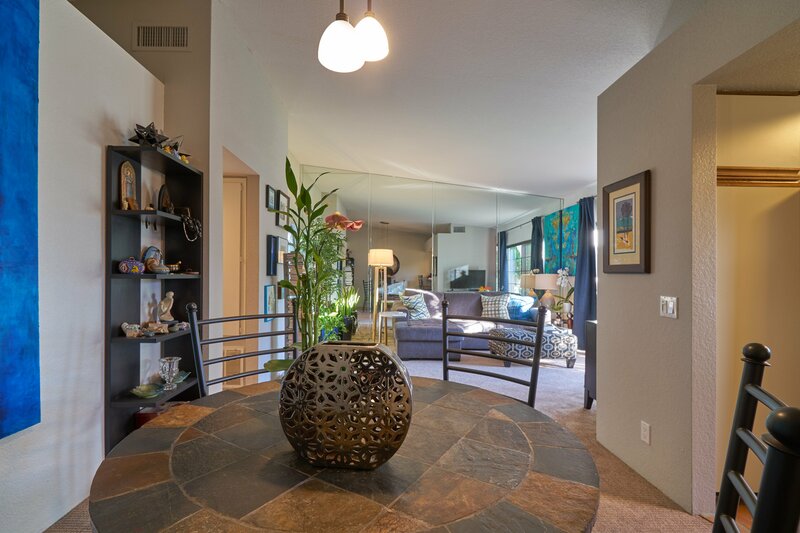 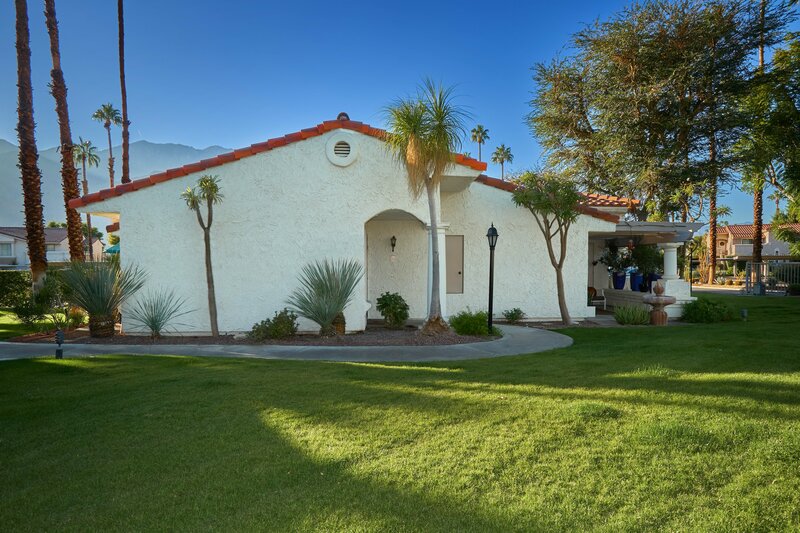 Perfect, single level, 1 bedroom VILLA in Mesquite Country Club is just minutes from downtown Palm Springs entertainment and dining. 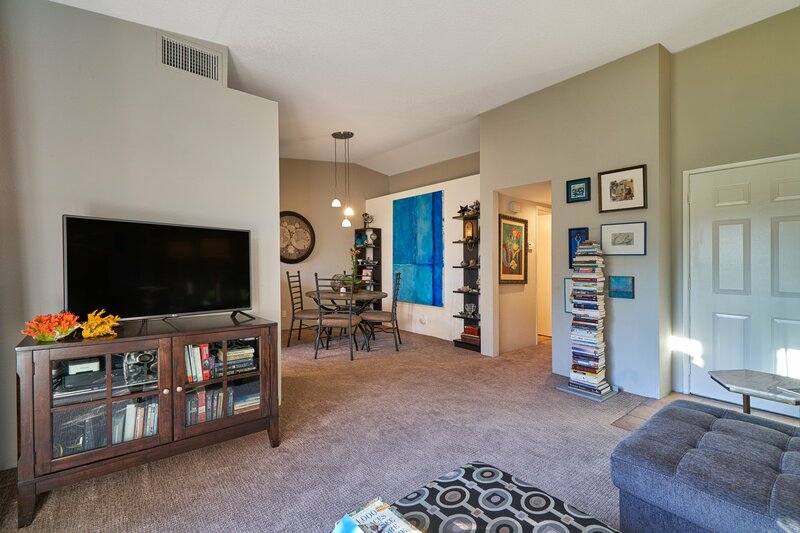 HIGHLY successful rental property! 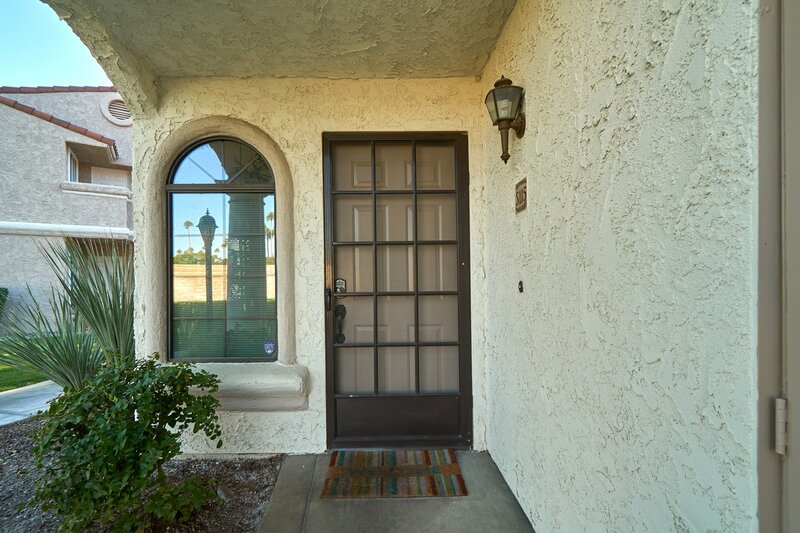 Currently rented January through April (built-in cash flow!). 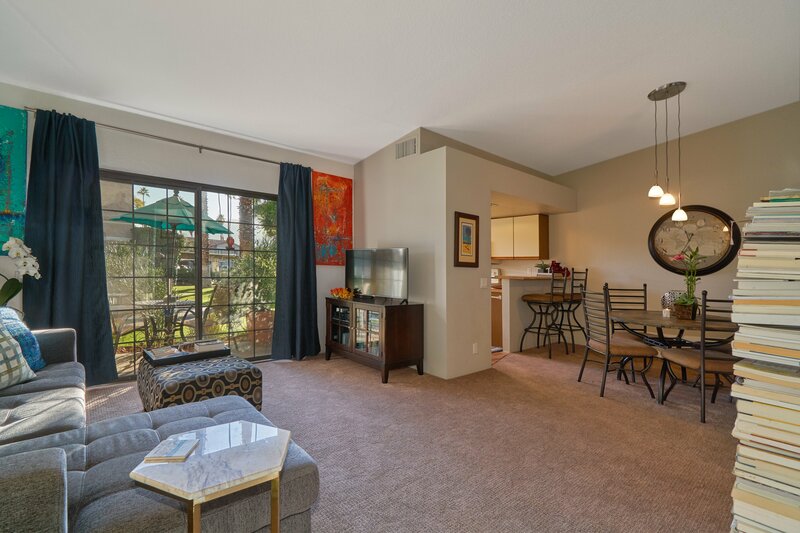 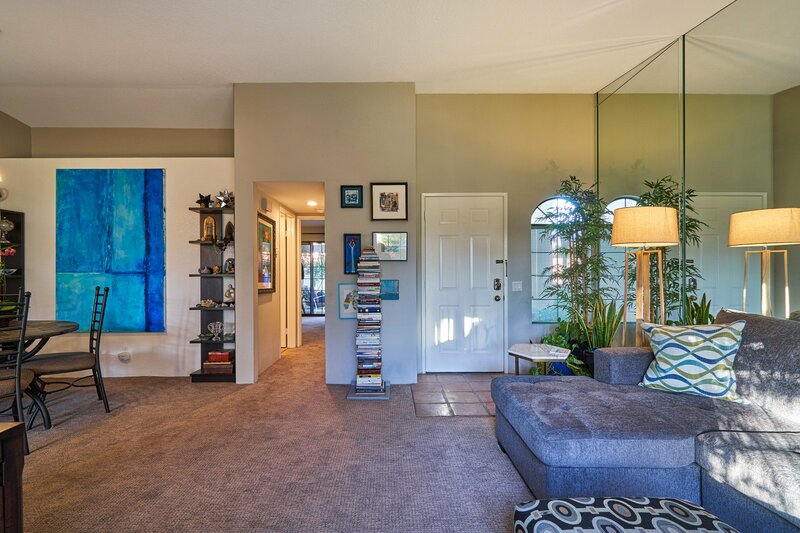 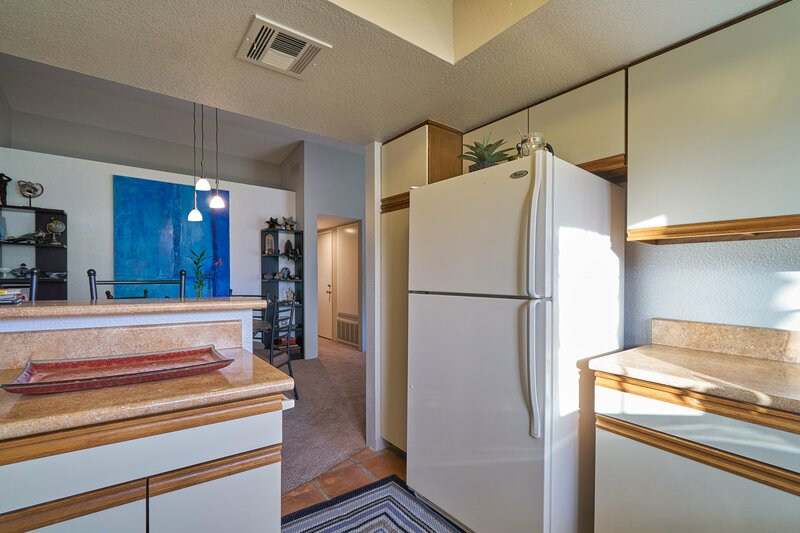 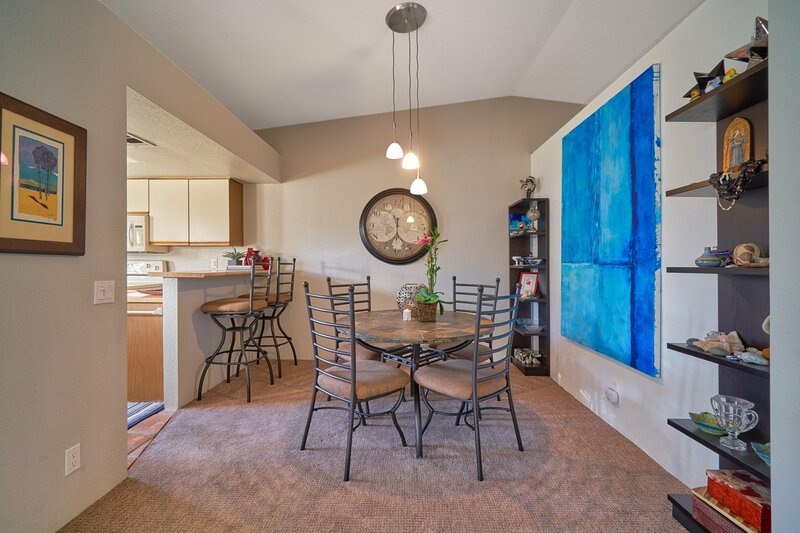 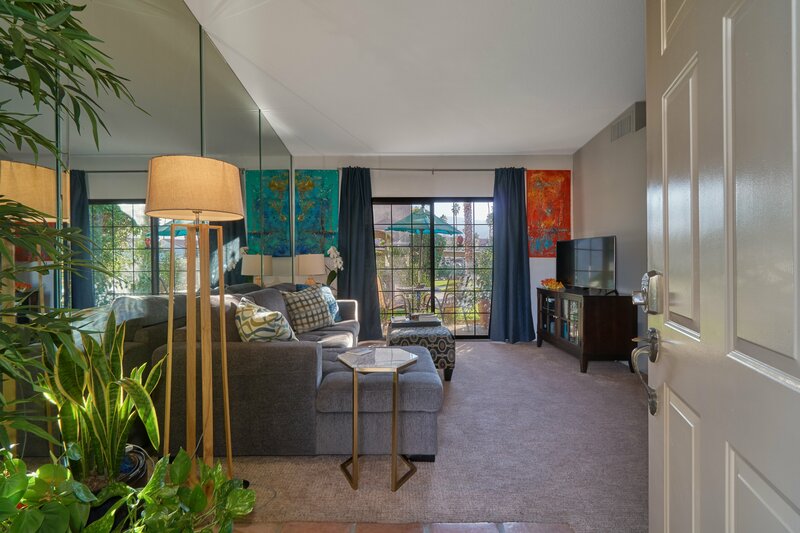 This spacious unit boasts an open floor plan with high ceilings, designer carpet, private laundry, and two patios. 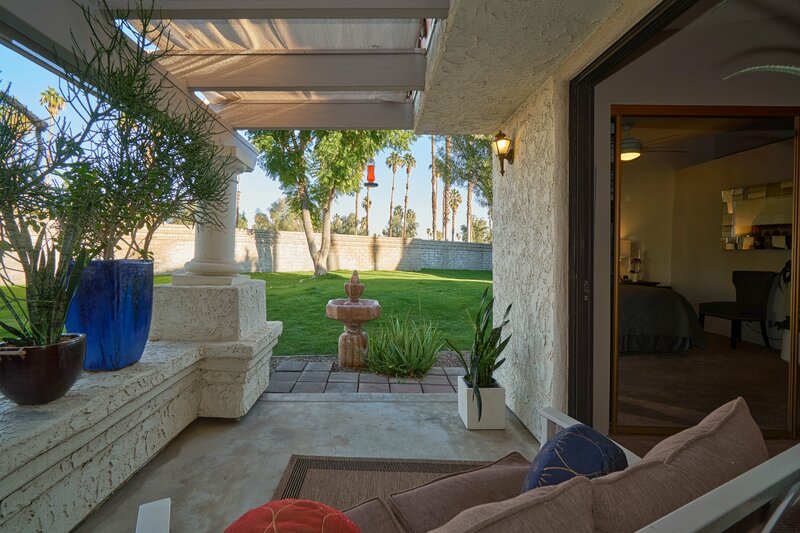 One covered patio connects to the ample living room, which faces south and is a few steps away from a shimmering pool and spa, which offers sweeping Mountain Views. 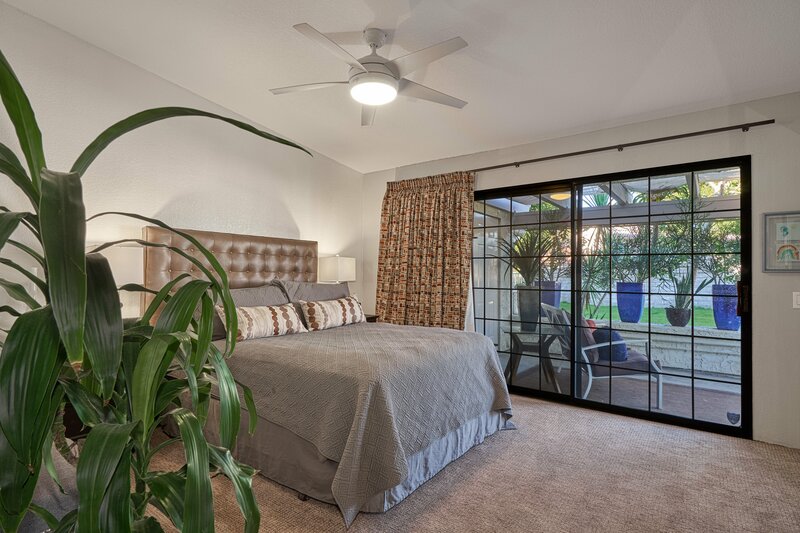 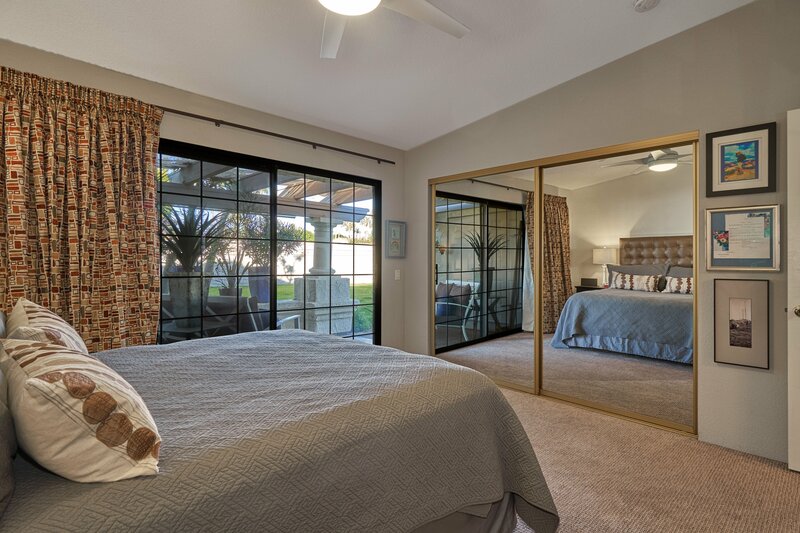 A great space to escape – the master bedroom boasts outdoor access to the other patio, featuring the washer and dryer, through a large sliding glass door. 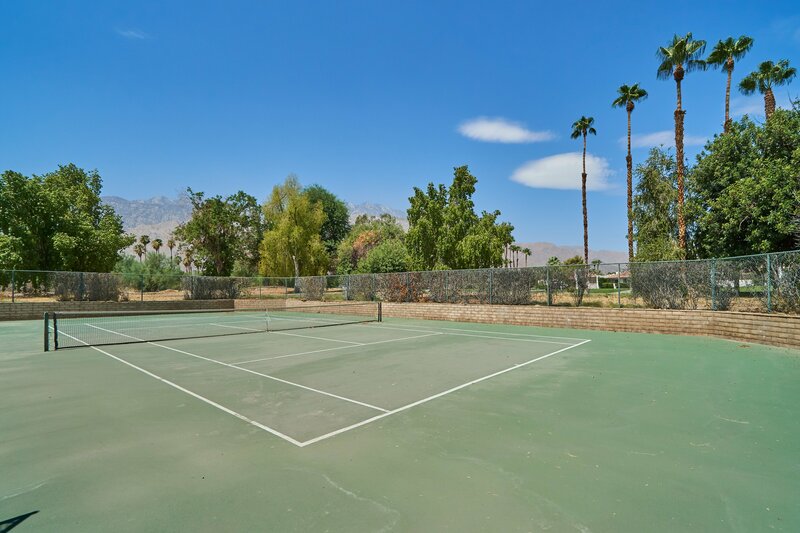 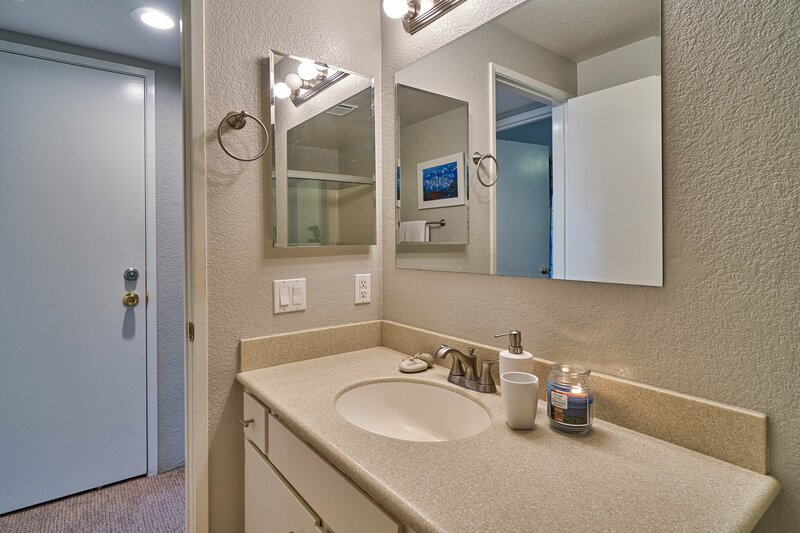 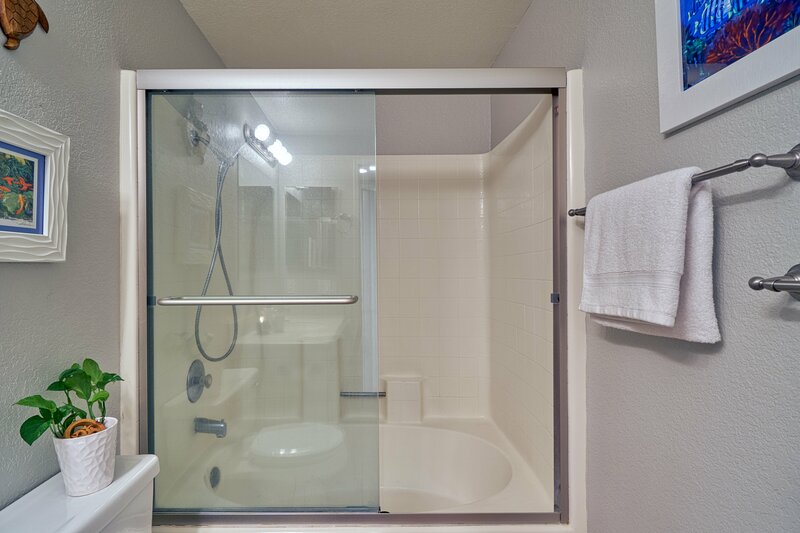 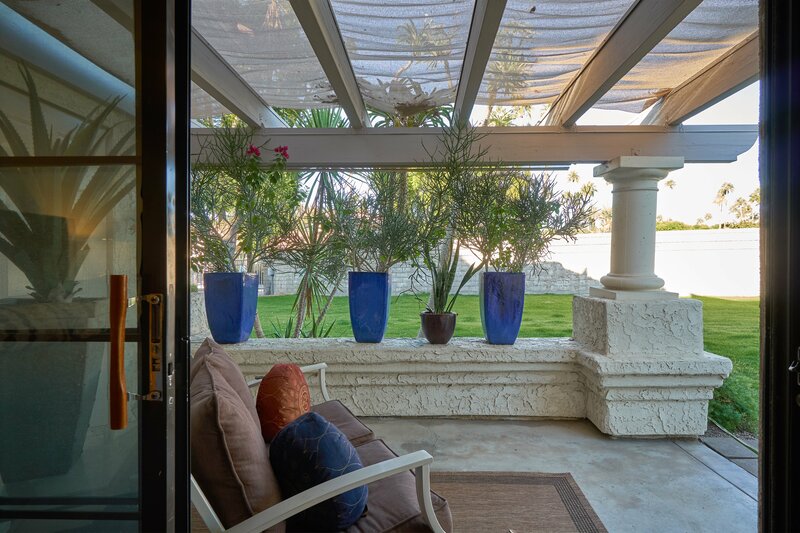 Mesquite Country Club amenities include three pools, three tennis courts & four spas. 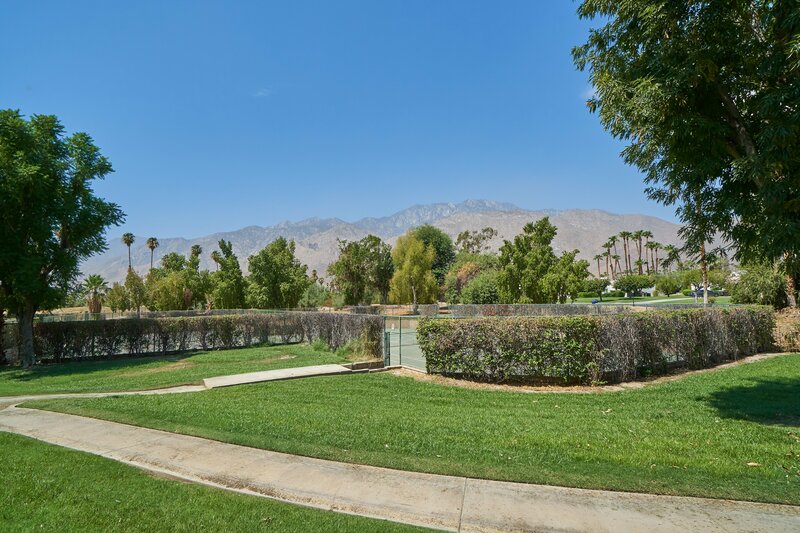 FEE Simple land! 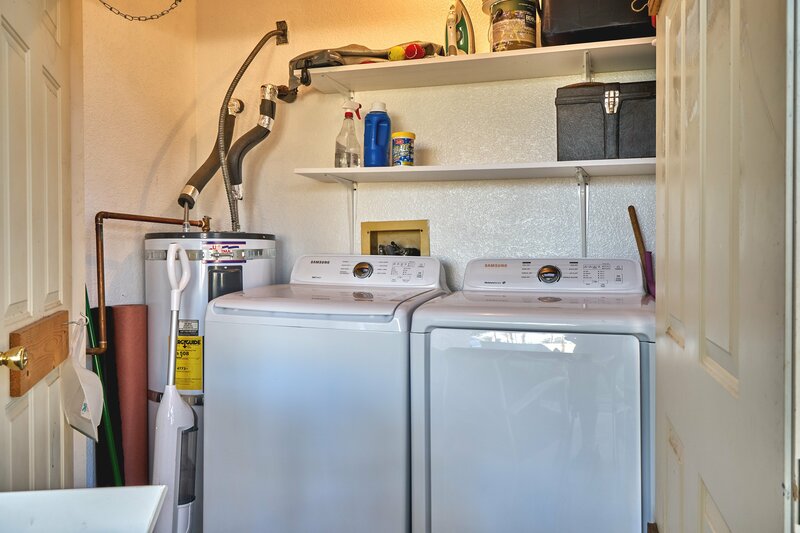 Low HOA’s that include Cable, Trash and Water!